The rent at Convenient location Two BR Two BA for rent Apartments ranges from $990 for a one bedroom to a $1,120 two bedroom. Apartments in this building are about 23% less expensive than the Nashville-Davidson average. This is a pet-friendly apartment. Convenient location Two BR Two BA for rent Apartments has a Walk Score of 28 out of 100. This location is a Car-Dependent neighborhood so most errands require a car. 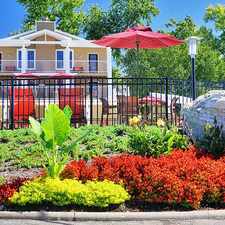 You deserve the best in apartment home living and Waterford Landing in Hermitage, Tennessee, can give you just that. Centrally located near countless fine-dining restaurants, movie theaters, and shopping, Waterford Landing enjoys a prime location with easy access to local Interstates 24, 40, and 65 and downtown Nashville. Waterford Landing showcases 1, 2, and 3 bedroom apartment homes with a variety of spacious floor plans. Our apartments feature gourmet fully-equipped kitchens, 9 foot ceilings with crown molding, brushed nickel accents, dynamic designer lighting, and washer/dryer connections in every apartment home. Select homes include wood burning fireplaces, bay windows, and balconies or patios. Our resort-style amenity package includes a complimentary gourmet java bar, 24-hour fitness center, swimming pools with oversized sundecks, picnic areas with grills, and free Wi-Fi at the clubhouse and poolside. Call today to reserve your new home at Waterford Landing! Explore how far you can travel by car, bus, bike and foot from Convenient location Two BR Two BA for rent Apartments. 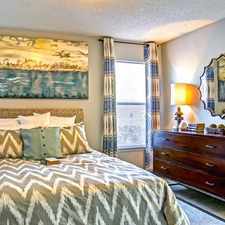 Convenient location Two BR Two BA for rent Apartments is in the city of Nashville-Davidson, TN. Nashville-Davidson has an average Walk Score of 28 and has 601,222 residents.